Dr. Kashyap practices cutting edge Plastic Surgery including the latest innovations in Minimal Access and Endoscopic Cosmetic Surgery. 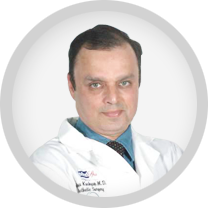 Dr. Ajaya Kashyap performs state-of-the-art laser procedures, power assisted liposuction, short scar mastopexies, and the latest techniques in facial cosmetic surgery, rhinoplasty, total lower body lifts and body contouring. He also is a leader in reconstructive and hand surgery. 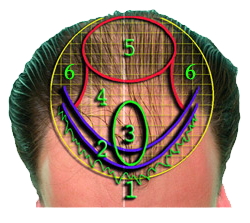 Transplant techniques, such as mini-grafts, micro-grafts, slit grafts, and strip grafts are generally performed on patients who desire a change in hair fullness. Remember, there are limits to what can be accomplished. An individual with very little hair might not be advised to undergo hair transplant surgery in Delhi. Your surgeon will give you specific instructions on how to prepare for surgery, including guidelines on eating and drinking, smoking, and taking and avoiding certain vitamins and medications. Carefully following these instructions will help your surgery go more smoothly. If you smoke, it's especially important to stop at least two to four weeks before surgery; smoking inhibits blood flow to the skin, and can interfere with healing. How many hair transplant grafts do you need? The total number of hair transplant grafts required for any patient will depend upon hair and skin color, donor density, scalp laxity the thickness of each hair shaft, the number of hairs in each graft, and the character of the hair itself. Another important factor for the amount of hair transplant grafts will be need is density. Overall the average number of hair transplant grafts needed to cover a balding area is 25% - 35% of the original hair that was there.